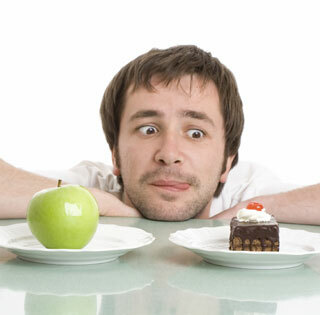 Food cravings seem to have touched most of us at one point or another. It is that sudden urge to want something out of the ordinary; that insatiable desire to eat a particular kind of food – the kind of food that has your mouth watering (I’m sure most of you know what we are talking about here); in fact, I bet you mouth is watering right now thinking about that very food. In most cases, food cravings can be quelled with a simple ready-to-eat- snack, or a 2-minute-microwave-meal, however these types of choices regularly leave us with regret and, more often than not, sore tummies. What if I were to tell you that food cravings are actually a good thing? What if I were to say that food cravings are essential in our daily life? Would you believe me? The fact of the matter is that food cravings are very important biochemical indicators that inform us when our body actually needs a particular nutrient. The thing is, most people (including ourselves) struggle to identify the true implication of the craving(s). Most of us live in the reality that “pre-packaged foods” are now considered an important part of a balanced diet; we also believe that they offer the same nutrient content as a food substance that has not been adulterated or reconstituted. By existing in this reality, we set ourselves up for failure. The truth is, there is hope! We just have to harness our energies by discerning the body’s cries for “real food”. In order to simplify your life a bit, we have found a table outlining the most common “food cravings”, the missing nutrients associated with those cravings, and which foods you can ingest to take corrective action in fulfilling your body’s need to function. In order to put these cravings at bay, we just have to take the time to truly listen to our bodies and allow ourselves to be guided by our instincts. Let us discover the true beauty and essence of food! 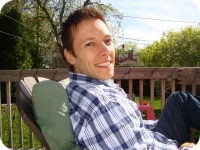 About the Author : Jordan Miller is the co-founder of guidinginstincts.com. He has overcome illness through dietary/lifestyle changes, and practicing a positive mindset daily. Jordan is currently learning about traditional North American medicinal herbs, in hopes of becoming a Certified Herbalist. Where do you Get your Calcium? How to Make Raw Cauliflower "Popcorn"
All data and information provided on this site is for informational purposes only. www.guidinginstincts.com makes no representations as to accuracy, completeness, currentness, suitability, or validity of any information on this site and will not be liable for any errors, omissions, or delays in this information or any losses, injuries, or damages arising from its display or use. All information is provided on an as-is basis. © 2010 - 2015 Guiding Instincts. Theme images by Zemdega. Powered by Blogger.